China has extended its ban on the use of Valemax vessels entering its port.A new directive, which takes effect as of 1 July 2014, specifically prohibits calls from 350,000dwt vessels. At the same time, it does allow for partially loaded vessels of this capacity to use facilities. 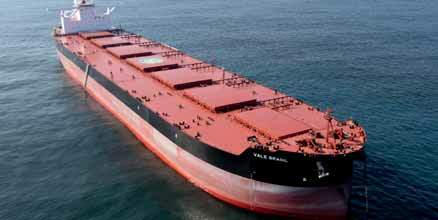 Last April, for example, one of the 400,000dwt Vale bulk carriers did use a Chinese port, albeit only partially loaded. The new directive allows vessels of up to 250,000dwt to dock and vessels up to 325,000dwt to dock if partially loaded.